The Capitol of Puerto Rico, Capitolio de Puerto Rico, in San Juan. Puerto Rico is under federal control, but isn't allowed voting representation in Congress, and residents can't vote for president. Guanica Bay is where American troops commanded by General Nelson Miles landed on July 25, 1898. 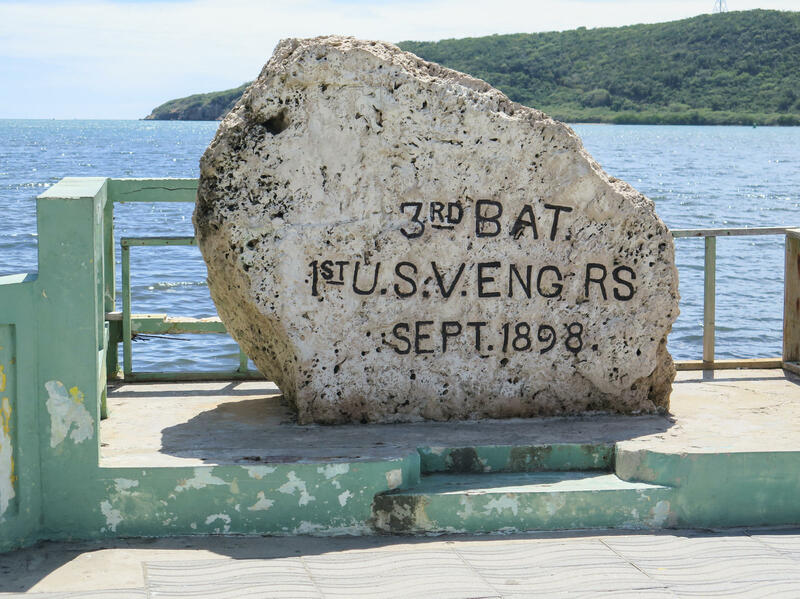 At the site, a stone marker engraved by the 3rd Battalion of the U.S. Army commemorates the invasion. Francisco Rodriguez, is the museum director in Guanica. Most people there support statehood because of the town's historical connection to the U.S.
Nearly 19 years after the invasion, President Wilson signed the Jones-Shafroth Act, granting citizenship to people born on the island. But it's a limited form of citizenship. The law puts Puerto Rico under federal control but doesn't allow the island voting representation in Congress. Residents also can't vote for president. That law started a debate that continues today over what exactly the island's relationship with the U.S. should be. And now in Puerto Rico, there's a new push to fix what many see it as a deeply-flawed relationship. For decades, Puerto Rico's three political parties have pushed for three basic positions: statehood, independence or the status quo or commonwealth status. But nearly all Puerto Ricans agree on one thing, says Gov. Ricardo Rossello. "Regardless of what ideological twist people may have, about 90 to 95 percent of our population really values our citizenship, so it's of utmost importance," he says. One reason Puerto Ricans treasure U.S. citizenship is that it allows them to travel freely to the mainland. Over the last decade, while the island was mired in a recession, hundreds of thousands of Puerto Ricans migrated to Florida, New York, Texas and other states. Rossello is with the New Progressive Party, which advocates statehood. He says Puerto Rico's strength is its status as part of the United States. "The bad side of it is that we are not a full part of the United States," he says. "We're a territory or a colonial territory. We're aiming to change that and of course, from my perspective, I'd want Puerto Rico to become the 51st state of the nation." Today the question of Puerto Rico's status is one debated on the campaign trail. 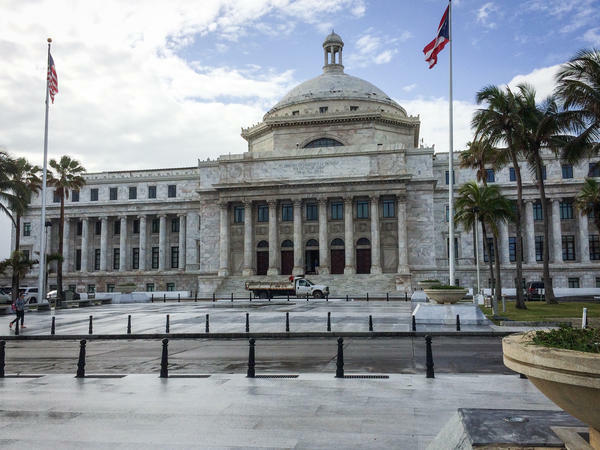 But over the last century, the push for Puerto Rican independence several times led to violence, including an attempt to assassinate President Truman in 1950 and then, four years later, an attack on Congress, in which five lawmakers were wounded. Since then, support for outright independence has declined on the island as the Puerto Rican population has grown on the U.S. mainland. Support also has declined, at least among elected officials, for maintaining the status quo. Last year, a Supreme Court decision undercut the island's long-standing claims of autonomy. Around the same time, struggling with more than $70 billion in public debt, Puerto Rico was forced to hand over financial control to an oversight board established by Congress. Manuel Natal, who serves in Puerto Rico's House of Representatives with the party that supports the current commonwealth status, believes change is needed, but worries statehood would force Puerto Ricans to give up things they've long treasured. "We can talk about language, our cultural identity," he says. "We can give plenty of examples of things that are important to the people of Puerto Rico on day-to-day, and we are not sure how we would come about if statehood was a reality." Natal supports a political status called free association. That would enable Puerto Rico to maintain its close relationship with the U.S. while allowing the island autonomy to make its own trade deals. He thinks the U.S. Congress might find free association more acceptable than statehood, in part because statehood would grant Puerto Rico more power in Washington — two U.S. senators and as many as five House members, numbers that could affect Republican control in Congress. And, Natal says, with President Trump's pledge to build a wall on the U.S. border, Washington is unlikely to welcome a state where Spanish is the first language. "I'm a Puerto Rican citizen, a U.S. citizen with a thick accent," he says. "I understand what's going on there and I know that statehood is not a possibility." In June, Puerto Ricans will go to the polls to choose between two options: statehood or independence/free association. In Guanica, Rodriguez says most support statehood, in part because of the town's historical connection to the U.S. "Puerto Rico lacks resources, but that's not the fault of the U.S.," he says. But it's a town with a mixed legacy. Every year, Rodriguez says, members of the island's independence movement come to Guanica to protest. It's a place that's both a source of pride, and for many, a symbol of colonialism and a century-long dysfunctional relationship with the U.S.
Puerto Rico today is marking an important anniversary. It's been a century since President Woodrow Wilson signed a law granting citizenship to people born on the island, but it's a limited form of citizenship. It puts Puerto Rico under federal control, but doesn't allow the island voting representation in Congress. Residents also can't vote for president. From Puerto Rico, NPR's Greg Allen reports there's a new push to fix what many see as a deeply flawed relationship. GREG ALLEN, BYLINE: This is where the U.S. relationship with Puerto Rico began nearly 120 years ago during the Spanish-American War. 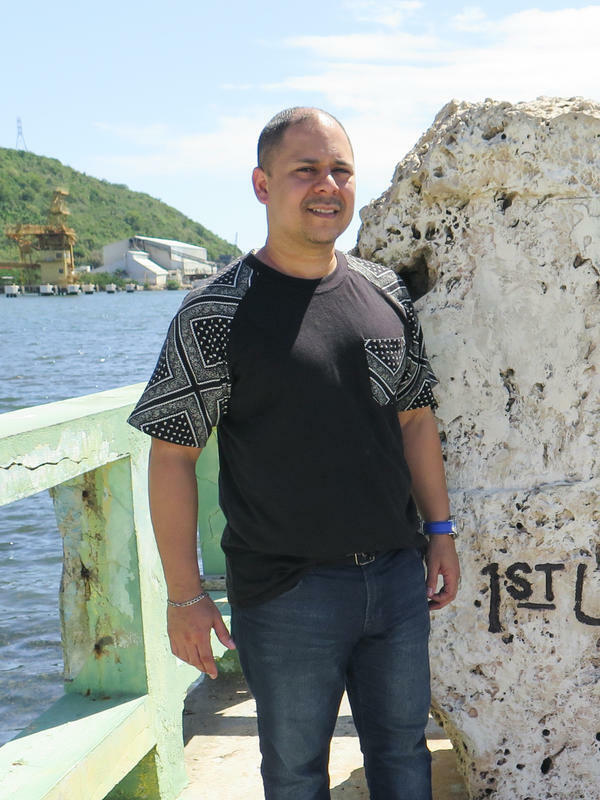 In the town of Guanica, on the island's southwestern corner, Francisco Rodriguez, the local museum director, has brought us to the waterfront where the invasion began. FRANCISCO RODRIGUEZ: (Through interpreter) American troops commanded by General Nelson Miles landed here on July 25, 1898. ALLEN: Rodriguez proudly shows visitors a stone marker engraved by the 3rd Battalion of the U.S. Army. Nearly 19 years after the invasion, Congress passed the Jones–Shafroth Act, a law making all citizens of Puerto Rico also citizens of the U.S. That law started a debate over what exactly the island's relationship with the U.S. should be. For decades, there have been three basic positions - statehood, independence and the status quo or commonwealth status, each represented by a political party. But there is something nearly all Puerto Ricans agree on. RICARDO ROSSELLO: Regardless of what ideological twist people may have, about 90 to 95 percent of our population really values our citizenship. It's of utmost importance. ALLEN: Puerto Rico's governor Ricardo Rossello says one of the reasons Puerto Ricans treasure U.S. citizenship is that it allows them to travel freely to the mainland. Rossello with Puerto Rico's Statehood Party says that's the good side of it, being part of the U.S.
ROSSELLO: The bad side of it is that we are not a full part of the United States. We're a territory or a colonial territory. I'd want Puerto Rico to become the 51st state of the nation. ALLEN: Today the question of Puerto Rico's status is one debated on the campaign trail. But over the last century, the push for Puerto Rican independence several times led to violence including a presidential assassination attempt and later in 1954, an attack on Congress. UNIDENTIFIED REPORTER: Three men and a woman believed to be members of the Puerto Rican nationalist gang, that in November 1950 attempted the assassination of President Truman opened fire from the visitors gallery of the House of Representatives. ALLEN: Support for outright independence has declined on the island since then, as Puerto Rico has struggled with a financial crisis. Supporters also declined at least among elected officials for maintaining the status quo. Manuel Natal serves in Puerto Rico's House of Representatives with a party that's long supported the current commonwealth status. He worries statehood would force Puerto Ricans to give up things they've long treasured. MANUEL NATAL ALBELO: We can talk about language, our culture identity. We can give plenty of examples of things that are important to the people of Puerto Rico on day to day. And we are not sure how we would come about if the statehood was a reality. ALLEN: Natal supports a political status called free association. That would enable Puerto Rico to maintain its close relationship with the U.S. while at the same time allowing the island autonomy to make its own trade deals. He thinks Congress might find free association more acceptable than statehood. In part, that's because statehood would grant Puerto Rico two U.S. senators and as many as five House members. And Natal says with President Trump's pledge to build a wall on the U.S.-Mexico border, he doesn't see Washington welcoming a state where Spanish is the first language. NATAL: I'm a Puerto Rican citizen, a U.S. citizen with a thick accent. I understand what's going on there, and I know that the statehood is not a possibility. ALLEN: In June, Puerto Ricans will go to the polls to choose between statehood or a second option either independence or free association. Most people in Guanica support statehood, according to museum director Francisco Rodriguez. In part, that's because of the town's historical connection to the U.S. and the monument that marks the invasion. RODRIGUEZ: (Through interpreter) It's a symbol of pride. Puerto Rico lacks resources, but that's not the fault of the U.S.
ALLEN: Rodriguez says members of the island's independence movement come to Guanica each year to protest. This is a place that for many here symbolizes colonialism and a century-long dysfunctional relationship with the U.S. Greg Allen, NPR News, Guanica, Puerto Rico. Transcript provided by NPR, Copyright NPR. Boricua Boom: Can Puerto Ricans Become The New Cubans Of South Florida Politics? Before Wynwood was the heart of hipster Miami, it was a Puerto Rican enclave. So Puerto Rican community leaders and business owners recently gathered there at Jimmy'z Kitchen for a campaign fundraiser. Boricua Boom: Will Puerto Ricans Change South Florida's Latino Landscape? On Labor Day there was a good Puerto Rican party on Hollywood Beach – classic Willie Colón salsa music playing on the boom box – hosted by a South Florida group called Boricuas Realengos. Before the virus overwhelmed Puerto Rico, Zika already lurked in Keishla Mojica's home in Caguas. First her partner, John Rodríguez, 23, became infected. His face swelled and a red, itchy rash covered his body. Doctors at the time diagnosed it as an allergy. Two months later, Mojica, 23, had the same symptoms. Medics administered shots of Benadryl to soothe the rash and inflammation. She didn't give it much more thought.